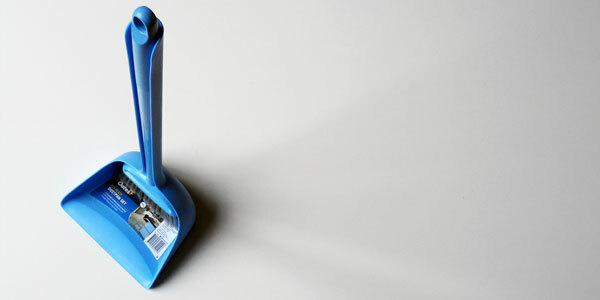 A simple yet functional dustpan, with an iconic form and some very clever construction methods. 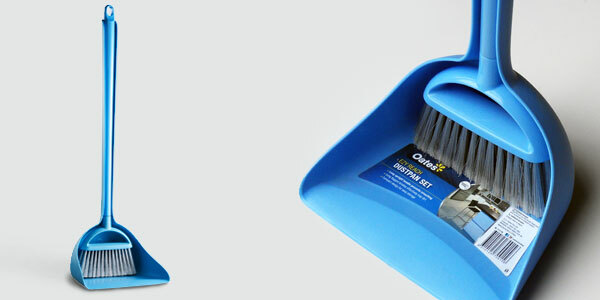 Oates Clean sourced Charlwood Design to develop and design a new free-standing dustpan (also known as a lobby pan) in 2012, after the idea was conceived during a “new product” brainstorming session. 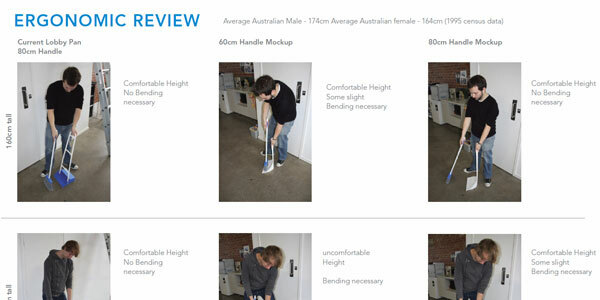 The resulting product allows users to easily sweep up their floors without having to bend over to pick up the mess. 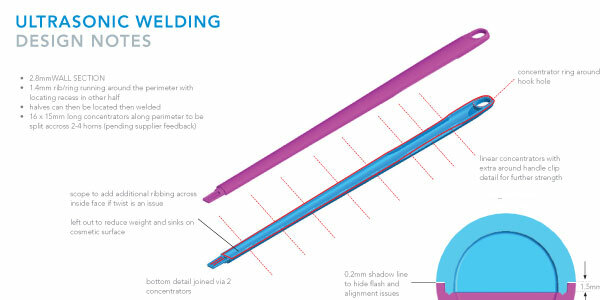 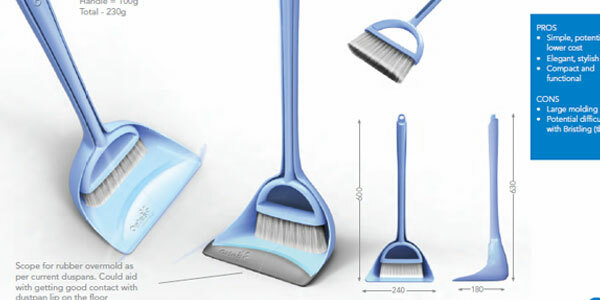 Its clean and iconic form is achieved by reducing the dustpan to a single moulded part, whilst the broom sub assembly consists of an advanced ultrasonically welded handle- avoid the use of the generic tubular steel handle seen on most of the competitors.